Havana’s bar scene is really varied. There are venerable places, steeped in history or associated with major literary figures, such as Hemingway’s favourite, El Floridita. Most of these are state-owned and major draws for foreign visitors. There are also a growing number of new private bars, many with a definite hipster feel and a large Cuban clientele. And there are the grand nightclubs of yore, updated classics like Tropicana and Salón Rojo del Capri that will dazzle with their music and dance. A constant across these different atmospheres is great drinks, particularly (but not just) rum-based cocktails that take advantage of Cuba’s abundance of tropical fruits. At state and private bars a new generation of great mixologists are turning out stunning work—crisp, natural, and balanced cocktails of all hues that put to shame the syrupy day-glow concoctions that have become all too common in the U.S. and Europe. From a visitor’s perspective, most bars are good values, many with great cocktails in the $3-$5 CUC range. Bars are also a great place to sample Cuba’s older rums neat, and some places (e.g. Sloppy Joe’s) have a big selection of bottles for retail sale. These start out inexpensive, but can get very pricey for limited bottlings or extremely old reserves. 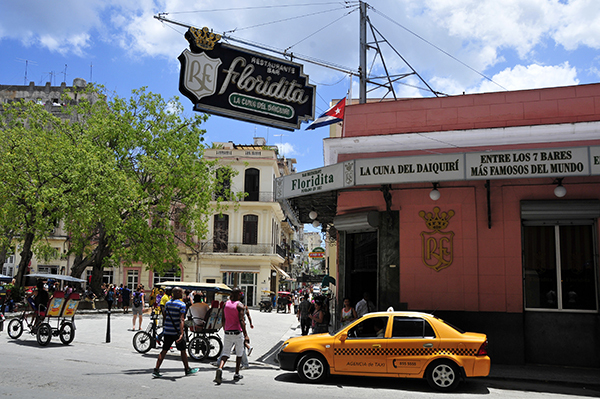 Havana’s watering holes are an important historical link between the U.S. and Cuba. They blossomed during America’s Prohibition years, when tourism surged, driven by Americans seeking respite from their government’s restrictive alcohol policy. This was a golden age for Cuban mixologists (cantineros), who became some of the best in the world. Legendary figures like Constante Ribalaigua started tending bar at El Floridita (founded under another name in 1817) in 1914, and by 1918 he owned the place. Some days he personally mixed over 1,000 cocktails, and the bar became an informal academy for highly trained bartenders. 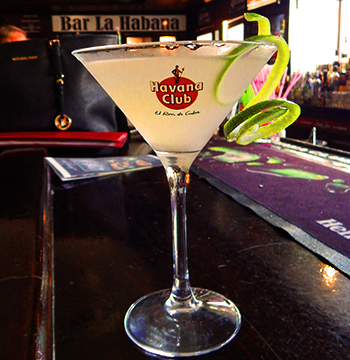 There is something for everyone in Havana’s bars, great places to rest or socialize. Or, with a gin-induced buzz, let the sepia photos in the old places lead you back in time until you think you see John dos Pasos or Graham Greene raising their elbows down at the end of the bar. Here are our top 10 bars in Havana that you shouldn’t miss. Be sure to check them out and let us know what you think.